Critical appreciation for "Shall I Compare Thee to a Summer's Day" which was written by William Shakespeare. William Shakespeare was a famous playwright and a poet of Elizabethan period. He was an active member of Theatre Company for at least 20 years. He continued to write plays at the rate of approximately ( लगभग ) two per year. He had written tragedies, comedies and historical plays. He wrote total of 154 sonnets. He offered his poetry as a means of immortality ( अमरता ) for both the youth and himself. His poems greatly dealt with the Renaissance ( पुनर्जागरण ) themes of friendship, love, death, change and immortality. In "Shall I Compare thee to a Summer's Day", Shakespeare compares a lady with the beautiful summer day. He finds he beautiful and immortal like his own sonnet. 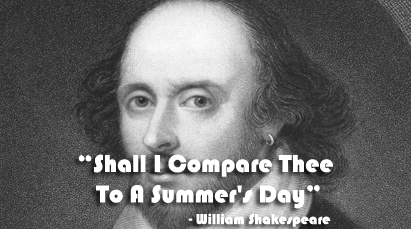 "Shall I Compare Thee to a Summer's Day" is a Shakespearian sonnet that develops one dominant ( प्रवल, प्रमुख ) idea. It has three quatrains ( चार हरफ भएको श्लोक ) and a couplet ( अन्त्यानुप्राशयुक्त दुई हरफ भएको श्लोक ). It follows the rhyming pattern abab, cdcd, efef, gg. The poet develops the ideas in the three quatrains and the conclusion of the poem is imbedded ( निहित ) in the couplet. The poet compares a lady, probably his beloved, to a summer's day which is all pleasant. The summer's day is lovely and pleasant but she is more than that. The poet also accepts the transience ( क्षणिकता ) of pleasure and beauty of the natural things and season. The buds of May are not free of wind's touch. Similarly summer's lease is very short. The sun is sometimes very hot and its golden complexion ( रङ ) becomes dim. The beauty of every beautiful thing decreases and is ultimately ( अन्त्यमा ) spoiled ( नष्ट हुनु ) naturally and accidentally. But the external summer's beauty he finds in her beloved will never disappear nor will she lose the beauty she has. The death will not be proud of taking her because she has been immortalized ( जीवित पारिएकी ) in the line of his verse. She may die physically, but her beauty will remain in the lines of verse. As long as the human race remains in earth and people can read the lines of the poem, she will be remembered and will be immortal. Thus, the main concern of the poem is immortalizing beauty through the work of art, especially poem. Do You Know ? 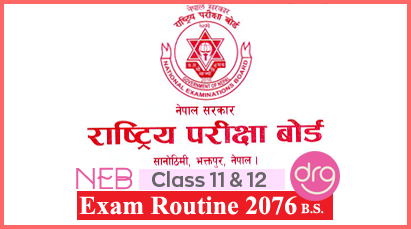 के तपाईलाई थाहा छ ? Critical Appreciation Of "Shall I Compare Thee To A Summer's Day"
0 Response to "Shall I Compare Thee To A Summer's Day | Critical Appreciation"